Which books did well, which were left on the shelves, and which made editors green with envy? 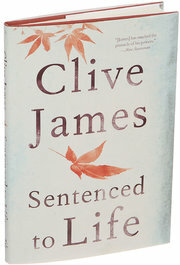 The book that made my year: It was gratifying to see two magnificent second novels make the Man Booker shortlist, and to see Jon Ronson confirm my personal terror of social media with his timely and hilarious So You’ve Been Publicly Shamed, but the publication that made my year was Clive James’s Sentenced to Life. The bestselling original poetry book of the year, it was recognised as containing some of Clive’s finest writing, with several poems going viral. It is a brave and searingly honest examination of his own mortality and the choices he has made in life. His next book – and probably a subject that only Clive could contemplate tackling in this way – is Gate of Lilacs, a verse commentary on Proust’s A La Recherche du Temps Perdu, out next April. The Guardian has set up the links incorrectly. I have corrected them for this posting. Since 2010, when the brilliant Australian critic, poet and memoirist Clive James learned he had terminal leukemia, he’s had his afterburners flipped on. He has been on a vivifying late-career tear. During this time he’s released six books: poems, essay collections, even a warm and approachable full-dress translation of Dante’s “Divine Comedy.” At 76, the polymathic Mr. James is burning out, not fading away.